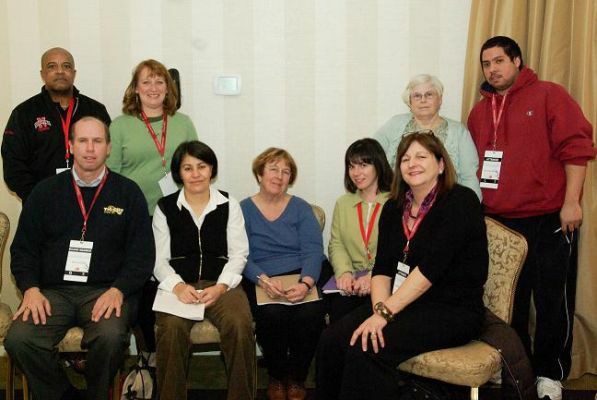 Northern Region Board Meeting (White Plains on 1/30/10). Present are: seated L to R: Gerry Cuva, Maria Lirio, Sue Wold, Jenny Irwin, Cindy Kandath. Standing L to R: Jim Neal, Donna Bjork, Fran Hart, Domingo Montes.